QStar Technologies have from the outset focused exclusively on developing products and solutions to manage, store and archive enterprise level data. QStar software defined storage (SDS) solutions are totally independent of the underlying hardware and run on commodity servers with Intel x86 processors, delivering massive cost savings and flexibility compared with traditional storage systems. 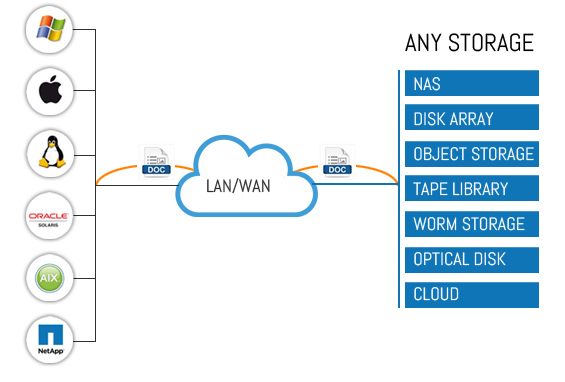 QStar Archive Storage Manager (ASM) manages a range of storage technologies such as Disk Array, Object Storage, Tape Libraries, Optical Disk Libraries, WORM and Cloud (private and hybrid) to form an efficient, safe and cost-effective Active Archive environment by virtualising differing storage technologies behind a file system. Users see ordinary file shares and can easily search, find and retrieve data directly from the archive. 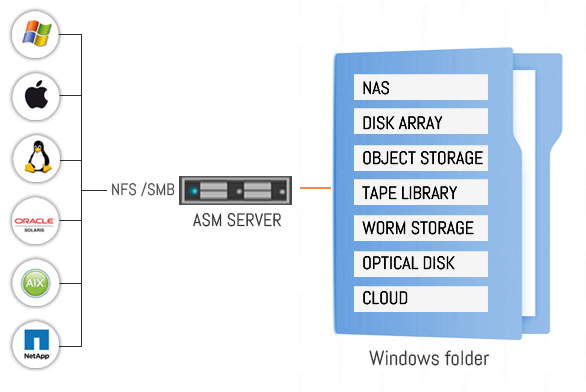 Star Archive Storage Manager (ASM) creates an Active Archive environment as a standard NAS-based file system using NFS and SMB protocols or S3-based cloud APIs. Disk Storage, RAID, Tape Libraries (LTFS), Object Storage, Cloud Storage (Public, Private or Hybrid), WORM storage and Optical Libraries are managed transparently across QStar Active Archive like a single point mounting file system or Windows folder. Users see ordinary file shares and can easily search, find and retrieve data directly from the Active Archive.